Grand Lake’s formal name, Grand Lake of the Cherokees, honors the tribe that first envisioned this beautiful northeastern Oklahoma lake in the Ozark foothills. Cherokee leaders such as Henry Holderman believed that damming the lower Neosho River would create a lake where hydroelectricity could be produced to benefit the tribe. WPA workers completed the lake’s Pensacola Dam, the world’s longest multiple arched dam, in 1940. Today Grand Lake offers 1,400 miles of shoreline with over 46,000 acres of water to play on. Many beautiful communities and parks located around Grand Lake offer recreation, activities and events for all ages. 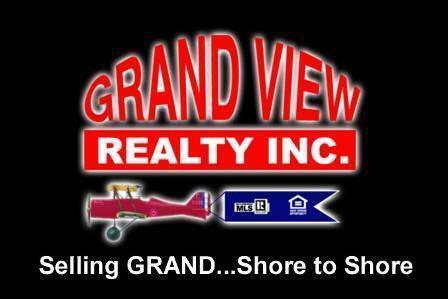 A realtor can tell you about Grand Lake Oklahoma homes for sale. Along with recreational areas in local towns such as Grove, Afton and Langley, seven state parks are found near Grand Lake. Bernice State Park offers 88 waterfront acres with 53 camp sites and some of the best crappie fishing in Oklahoma. Twin Bridges State Park at Fairland has camping, picnicking, fishing, boating, swimming, horseshoe pits and a playground. Spring time visitors to Honey Creek State Park at Grove will experience the beauty of the park’s many blooming Dogwoods and Redbuds, Oklahoma’s official tree.